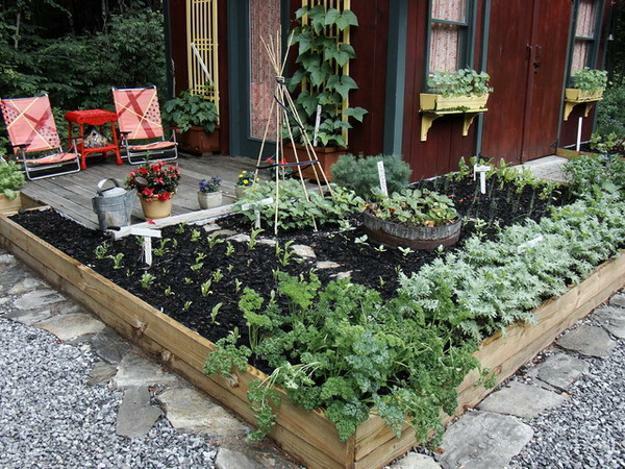 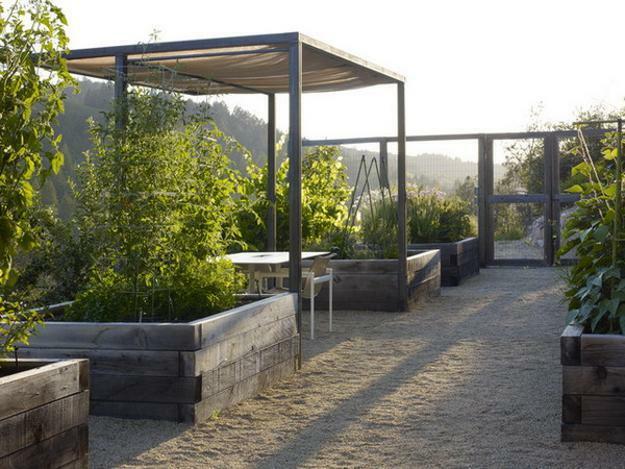 Raised bed garden designs are beautiful, practical and comfortable. 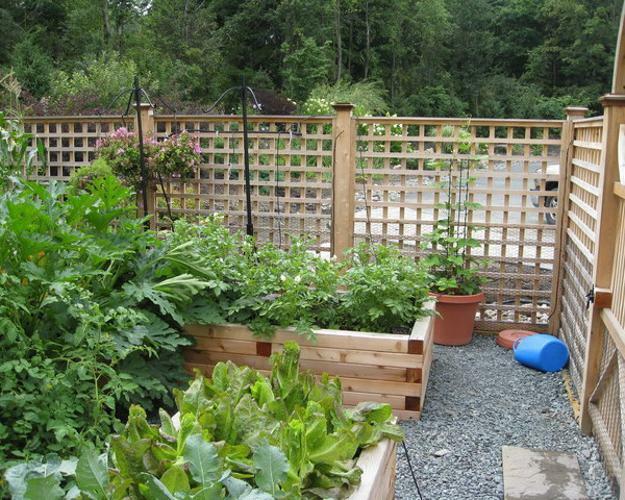 Raised beds are true decorations that add charming, simple and attractive designs to creative backyard landscaping ideas and turn gardens into lovely places for growing vegetables, edible herbs, berries or flowering plants. 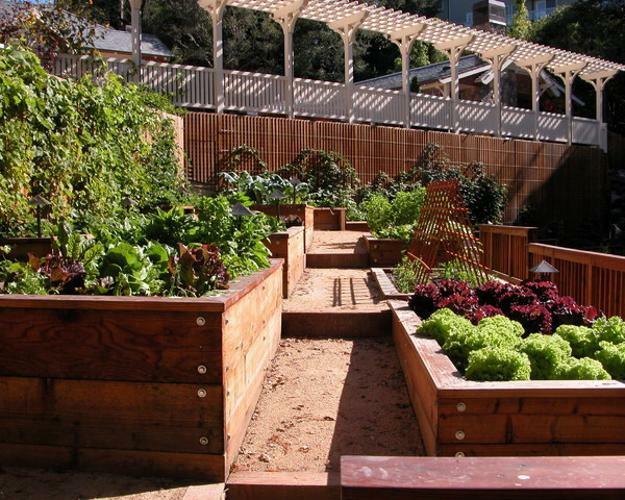 Raised bed garden designs allows to plant vegetables, edible herbs or flowers higher than the ground level, in large containers built with wood, stone or concrete. 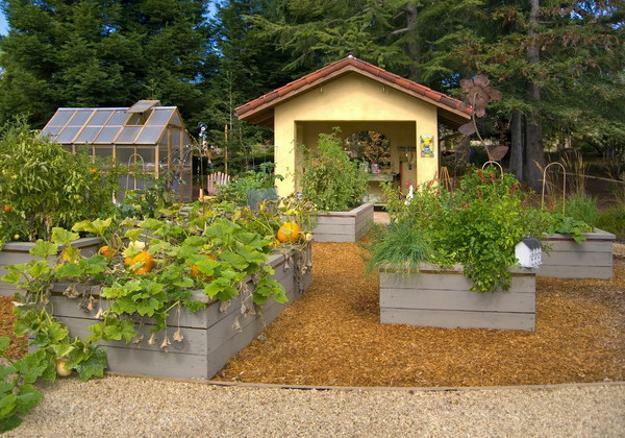 The raised bed garden designs vary in shapes, and can be arranged with free shape containers or round, triangular, rectangular, square, oval, octagonal or hexagon-shapes raised beds. 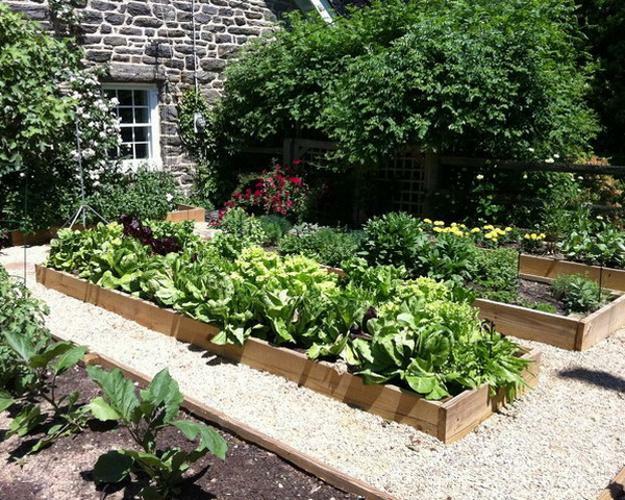 Raised bed garden designs are popular ideas for backyard landscaping that allows to grow vegetables, edible herbs, berries or flowering plants in style. 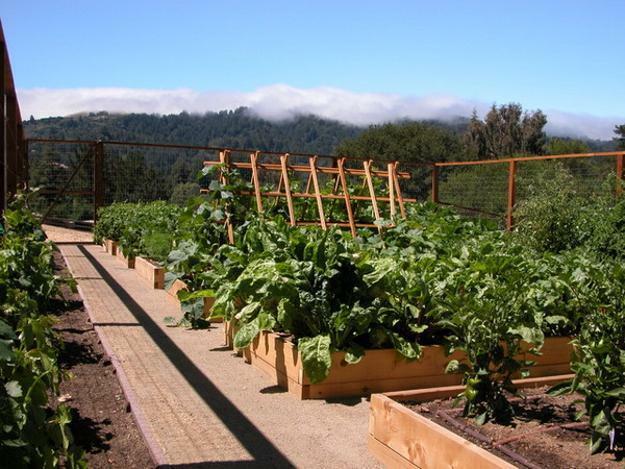 Raised bed garden designs offer many advantages and make it possible to enjoy gardening on a very small property and sloped hills. 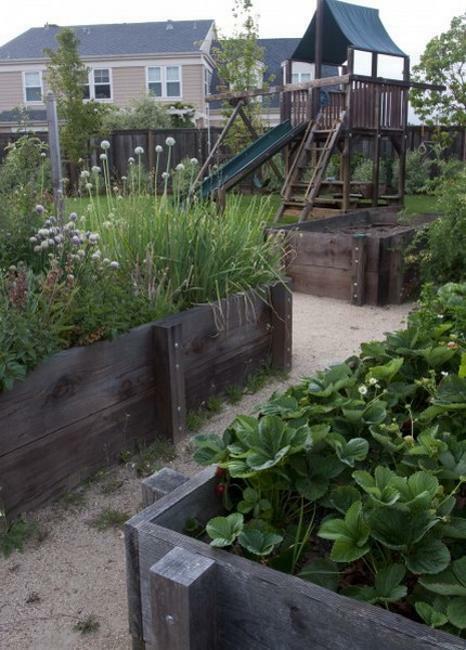 Raised beds can be built as high or low as you want, and can create a spectacular garden design with planting containers in different heights arranged on a slope hill. 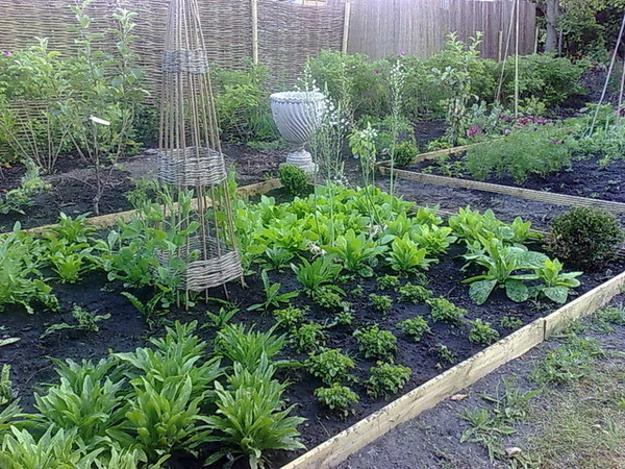 A raised bed garden is comfortable and practical, as you can reach the plants, vegetables or edible herbs easily. 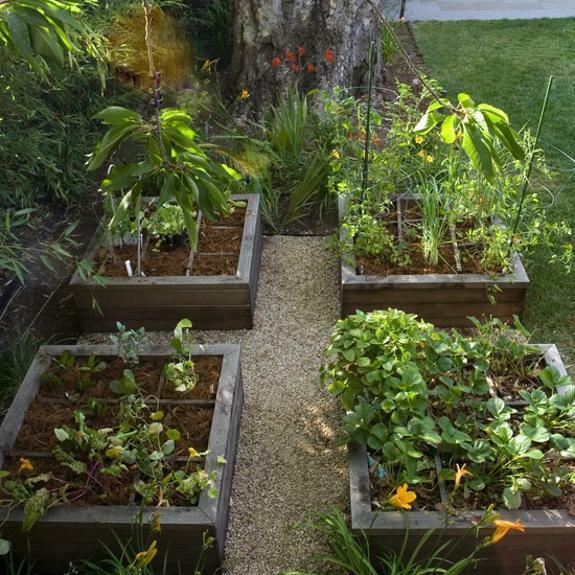 You can build these containers in any place enhancing your backyard landscaping ideas with beautiful designs and enjoying an opportunity to have your small garden design where it is easy to reach it. 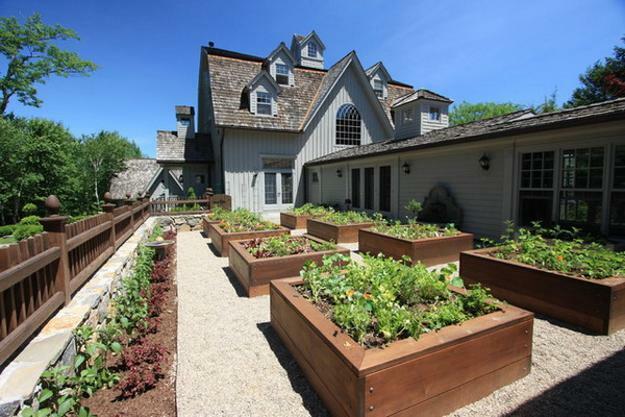 Even people in wheelchairs and with knee problems are able to enjoy raised bed garden designs. 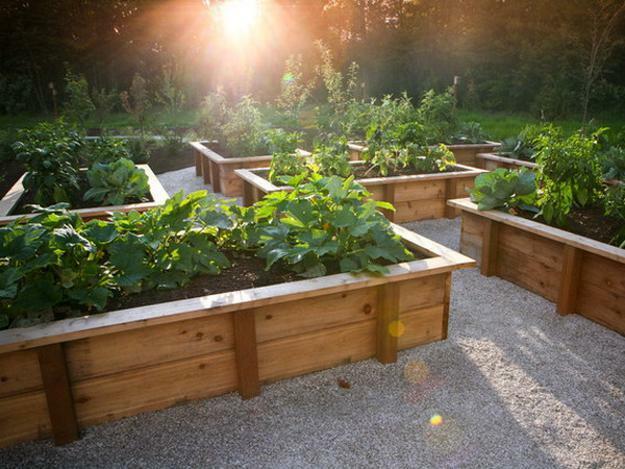 Raised beds create gorgeous decorations for your backyard design. 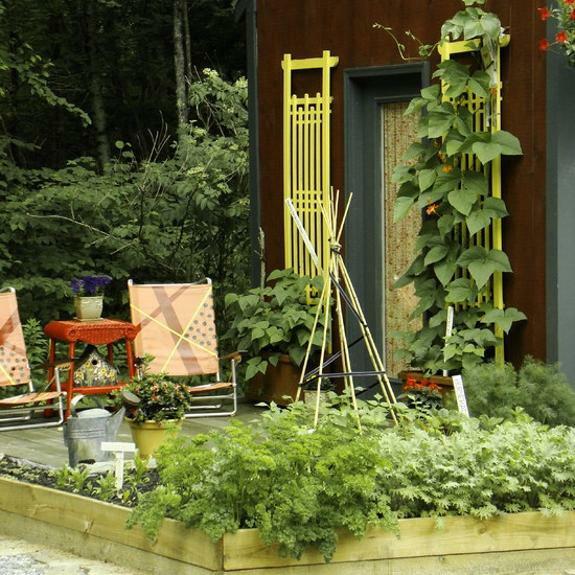 The increasing visibility add texture and depth to backyard landscaping ideas decorating your outdoor living space with color. 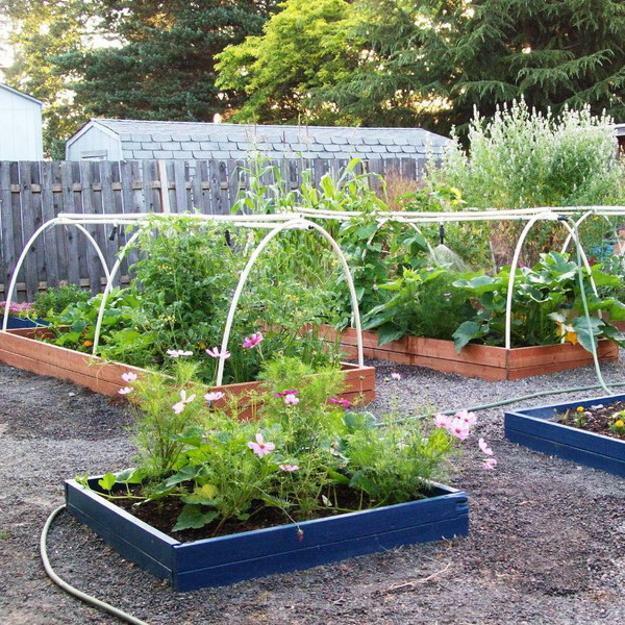 Raised bed garden designs make it easier to control weeds and take care of your flowers or produce, growing healthy vegetables, edible herbs and berries. 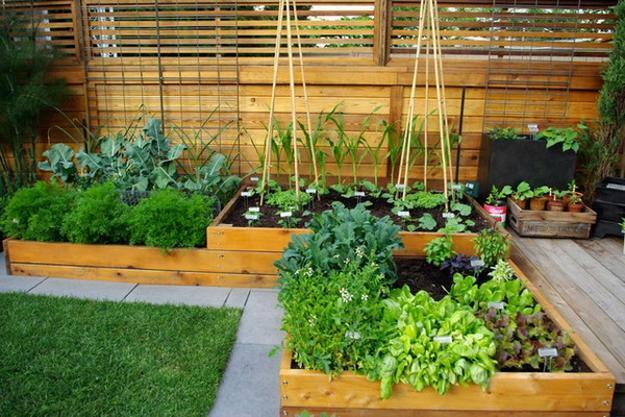 Raised bed garden grow on imported soil, so choosing high quality soil and creating mixes with eco friendly fertilizers and compost is another advantage of this type of gardening and growing healthy, organic vegetables, edible herbs and berries. 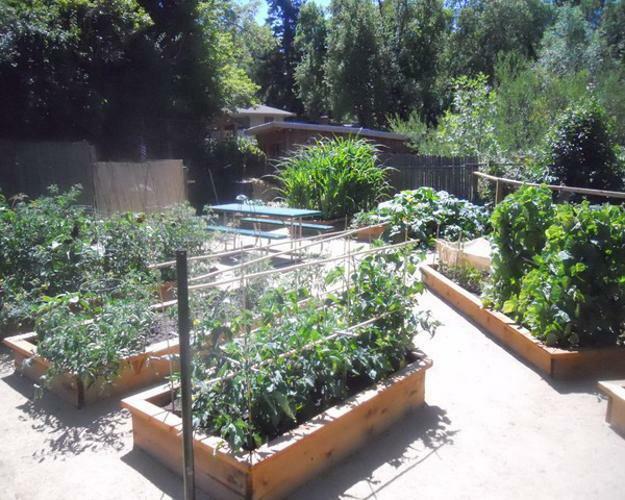 Raised bed garden design is a great investment of time, effort and money, but it pays your back with more pleasure and convenience, easy access and comfort, healthy plants and nutritious produce. 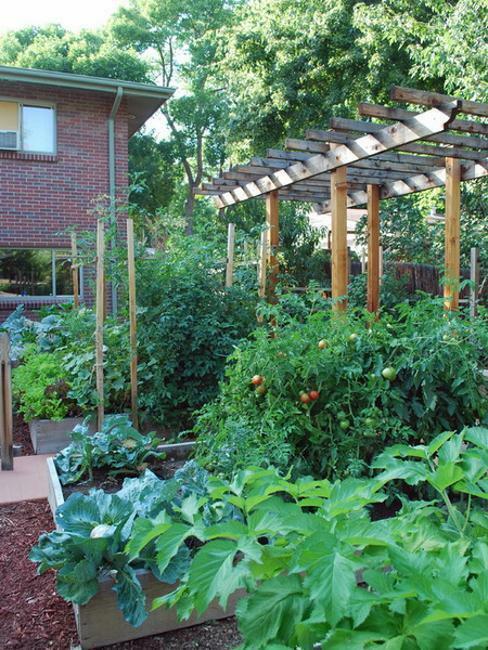 Raised bed gardens require less maintenance, but plants and flowers need to be watered more often. 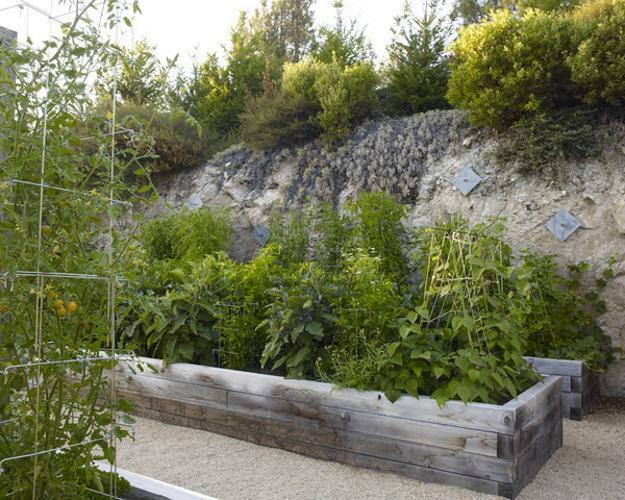 In wet climates or on slope hills raised bed garden designs are ideal for growing vegetables and edible herbs at home. 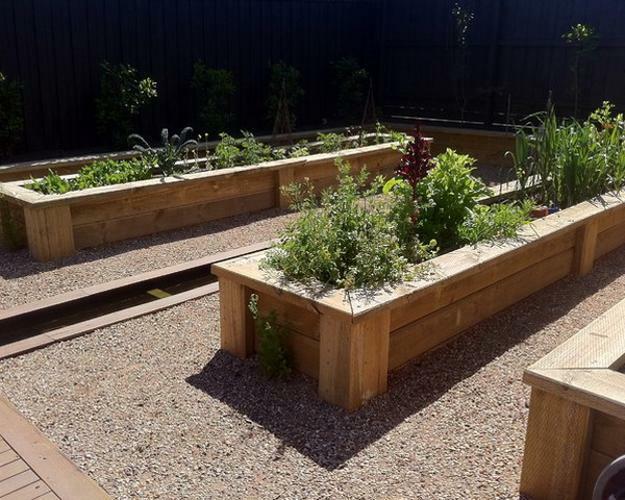 Raised beds are a wonderful gardening solution for people with disabilities. 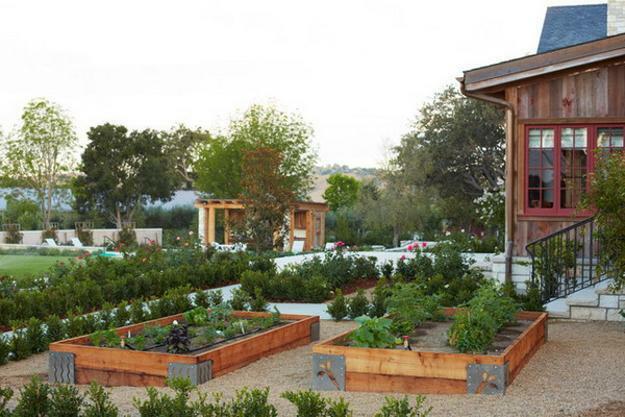 Raised bed garden design adds beautiful accents to backyard landscaping ideas and create gorgeous outdoor living spaces that are functional and spectacular.